At the two day Terrier Invite meeting in Boston, two more American records fell to two PACE athletes, and very nearly two world records as well. Mary Cain (USA) having last week broke the World Junior 1000m record, this week was chasing the 1 mile record and followed the pacemakers for the first 1200m. Cain took up the chase over the final 2 laps to smash her pb with a time of 4:24.11. Although narrowly off the World Junior Record this was still an American Junior record. Jordan Hasay (USA) ran aggressively from the start and was rewarded with a pb of 4:28.37 to take third. 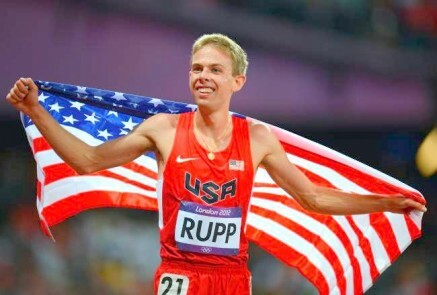 Galen Rupp (USA) was on world record pace for his 2 mile race with just 200m remaining. The world record was not to be on this occasion but he was still able to take his second American record in just under two weeks as he ran 8:07.41. Just one week after winning the Kenyan Armed Forces cross-country, Hellen Obiri (KEN) showed the surface makes no difference to her at the moment as she cruised to victory at the Glasgow Indoor International match. Representing the Commonwealth select team, the World Championships bronze medallist moved away from the 1500m field over the final 500m to cross the line in 4:10.21, a new stadium record. Representing Great Britain, Jemma Simpson (GBR) was fourth. At the same meeting Jeremiah Mutai (KEN) and Andrew Oasgie (GBR) both made encouraging starts to their indoor campaigns in a very competitive 600m. Mutai ran a pb of 1:16.52 for second and Osagie 1:16.86 for third. Chris Tomlinson (GBR) was also third in the long jump.